Volvo can't claim to have invented the estate but over the last sixty years it's certainly championed them more than most. But in the last decade, cars like the V70 have fallen out of fashion. Blame big SUVs for their decline because compared to an estate they offer a commanding driving position and, in the minds of those who buy them, a sense of adventure. 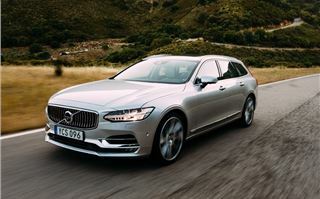 Volvo's V90 hopes to turn the tide. It shares its platform with the XC90 and uses the same petrol and diesel engines. 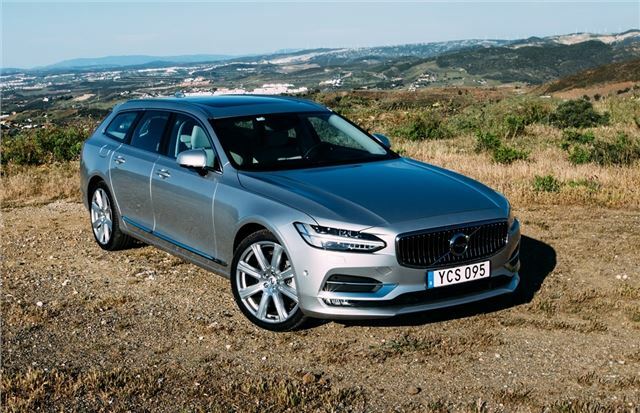 What the Volvo V90 doesn't get is the option of seven seats - and that's disappointing considering its huge size, the estate is just 14mm shorter than the XC90 and a fraction wider. 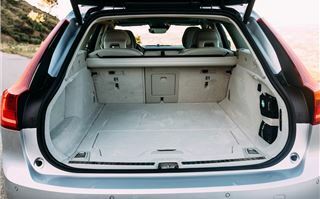 Space is also lacking in the boot despite its generous external dimensions. There's only 560 litres. 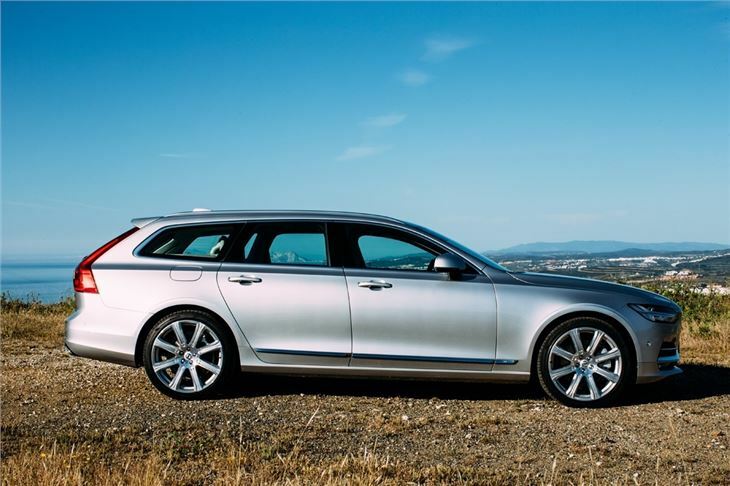 A cheaper, shorter Superb estate offers 25 per cent more space for considerably less. But despite that there's still plenty of reasons to consider the Swedish estate. First of all, just look at it. Pinching style cues from the XC90, the V90 is a handsome beast. Inside, the interior is beautifully designed with high quality materials used throughout. Its clean look is typically Scandinavian and the seats, with an optional massage function, are some of the most comfortable on any car at any price. 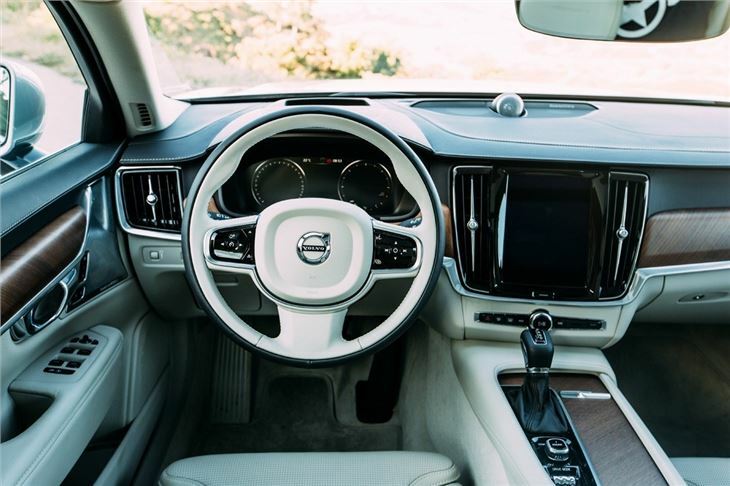 Comfort and refinement are what Volvo strived for when creating the V90. 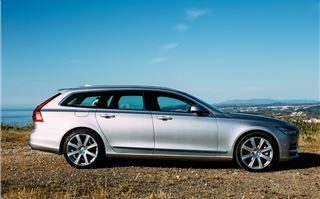 So instead of the overly stiff set-up some estates, the big Volvo has softer suspension to soak up the miles. The estate also does a good job of filtering out unwanted road and wind noise. More enthusiastic drivers might miss some of the involvement behind the wheel, although handling is improved in the Dynamic mode that gives the V90 better body control in tight and twisting roads. But a more relaxed aproach is a good match for the comfort-biased nature of the rest of the car. The V90 is a heavy car with the most expensive versions weighing in well-over two-tonnes. That makes the more powerful of the two diesels, the D5, the more tempting version. 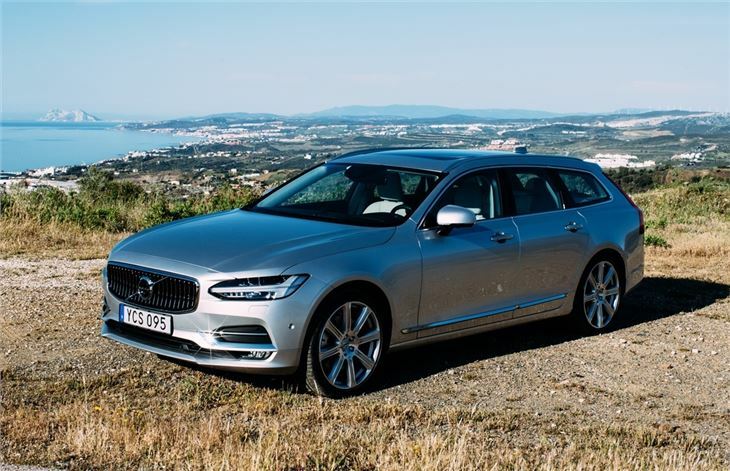 Producing 235PS from just a 2.0-litre turbodiesel, the four-wheel drive V90 offers all-weather traction on slippery roads but still manages to combine a quick 7.2 second 0-62mph time with the ability to return 57.7mpg. Of course, as our Real MPG figures shows, the V90 is unlikely to return that, expect the V90 to average 35mpg. 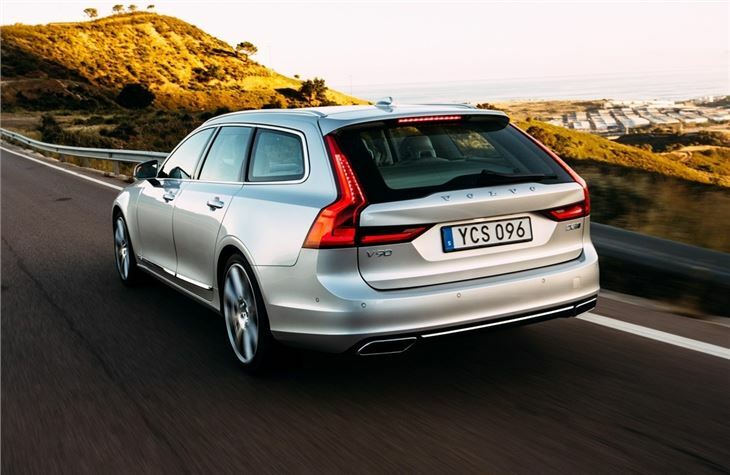 Whatever engine you choose, all V90s come with an eight-speed automatic gearbox. Matched with the diesel it's a smooth combination that works well. However, in the more powerful petrol T6 - especially in Dynamic mode - it adds unwanted jerkiness and feels too frenetic. Taking the stress out of motorway cruising, the V90 will come with Volvo's Auto Pilot as standard. This semi-autonomous self-driving tech is said to reduce fatigue on long journeys as it steers, accelerates and brakes at speeds of up to 80mph carefully keeping the car within its designated lane. Hands on the wheel are required all the time, as are clearly marked lanes - something that not every bypass and motorway in the UK can claim. The presence of the self-driving cruise control is evidence of a long line of standard equipment. All Momentum models come with a leather interior, internet connectivity, navigation, a large nine-inch infotainment system, LED headlamps, 17-inch alloys and an electric tailgate along with electric folding rear seats. Upgrade to the range-topping Inscription trim and you swap the base car's leather for more premium softer Nappa hide, plus electric front seats and a classy full 12.3-inch full colour screen instead of conventional speedo and rev-counter. Prices from £34,555 for the D4 Momentum, Volvo has clearly positioned the V90 above the likes of Volkswagen's Passat but below the BMW 5 Series. It's a mighty tempting proposition. Volvo hasn't attempted to beat the Germans at their own game, but tried a different tact. 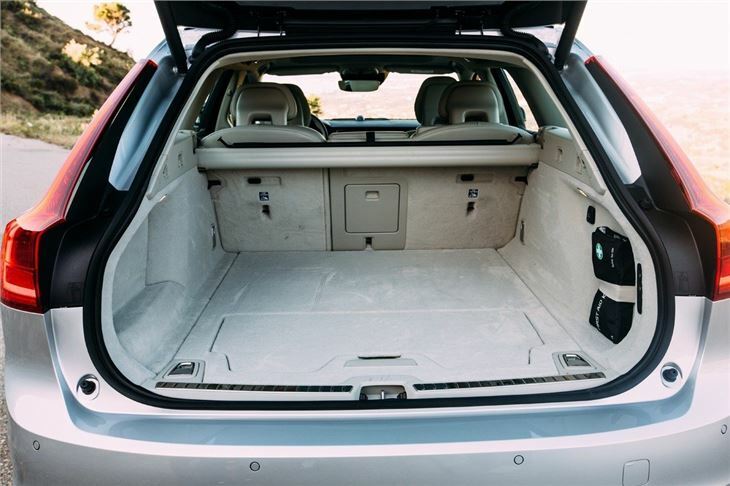 As spacious comfortable cars go, for all the family, you'll be grateful Volvo hasn't given up on the humble estate just yet. The Volvo V90 goes is on sale now with the first deliveries expected to begin in September.